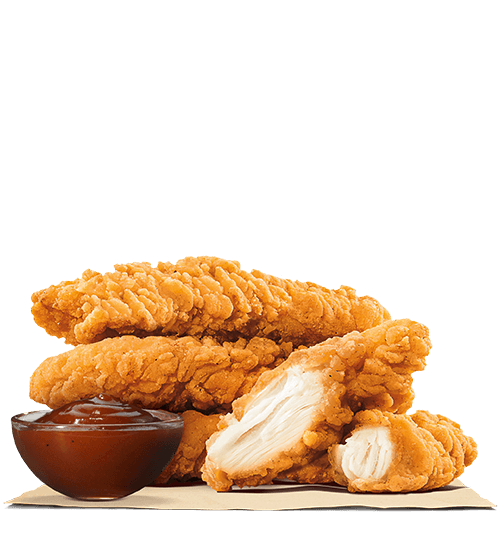 Chicken strips were never this good! 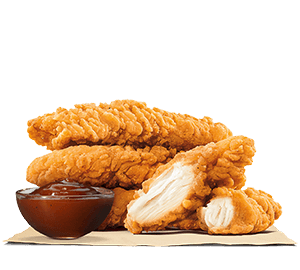 Made of tender chicken breast, lightly coated to make it crispy, our chicken strips are the best treat you can pick! It's simple. 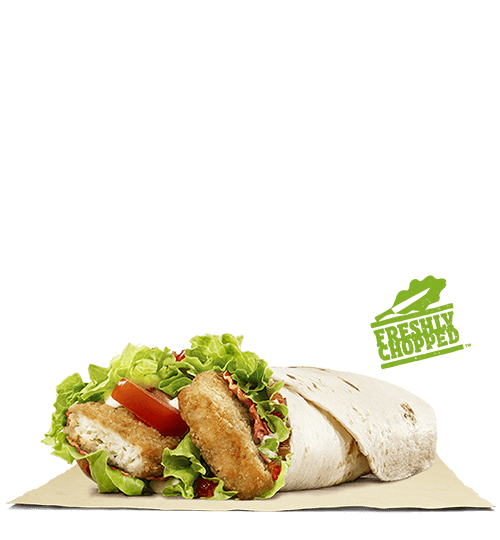 We just took a good recipe and wrapped it our way! 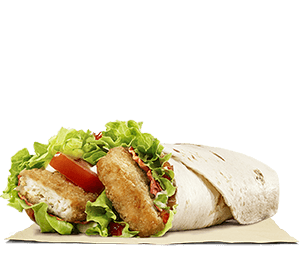 Delicious chicken, crispy bacon, fresh lettuce and tomatoes with a layer of mayo! 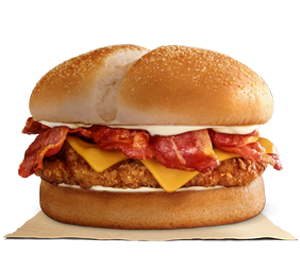 Our TENDERCRISP® topped with a hearty portion of thick-cut smoked bacon, melted American cheese and topped with creamy mayonnaise all on a soft sesame seed bun. 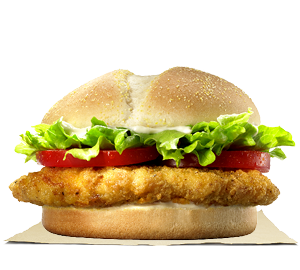 Our crowning glory the Chicken Royale is everything a great sandwich should be. 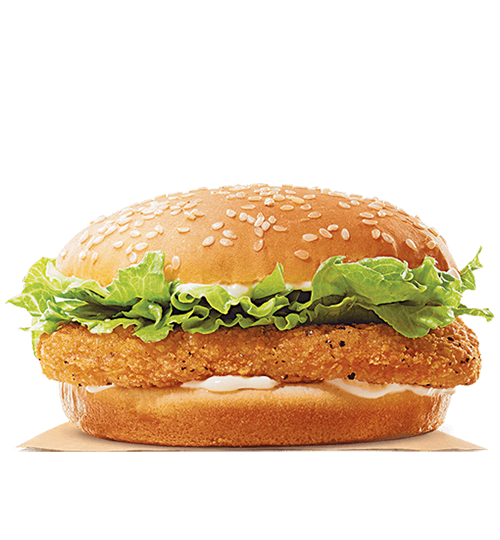 Tasty chicken wrapped in a special crisp coating, topped with iceberg lettuce, creamy mayonnaise and crowned with a toasted sesame seed bun. 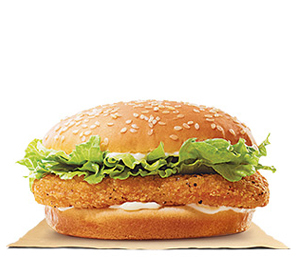 Crispy on the outside, tender on the inside. 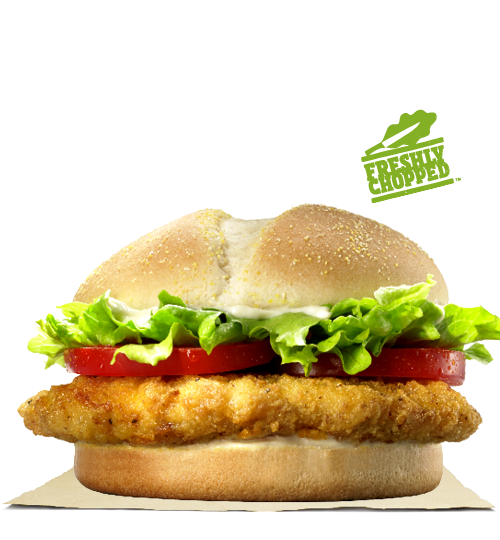 Our Chicken TENDERCRISP® Sandwich is made with white meat chicken, generously breaded with homemade seasoning and carefully layered with fresh lettuce, ripe tomatoes, and creamy mayonnaise between a corn dusted bun. 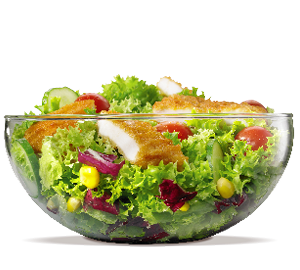 Other salads, are jealous of our Chicken Salad. 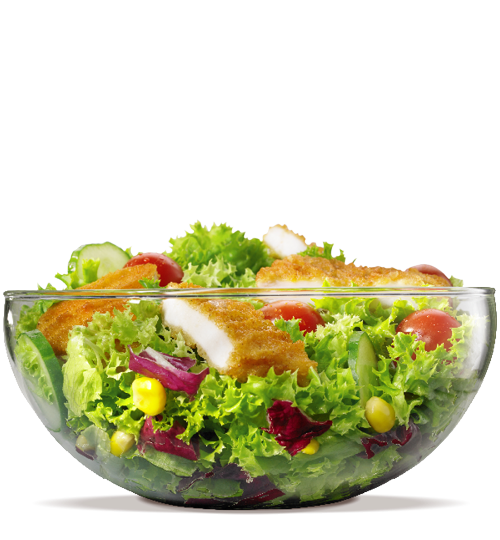 Crisp mixed leaf lettuce, juicy cherry tomatoes, crunchy carrot and crispy chicken. 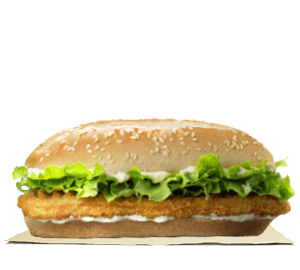 All hail the king of chicken! 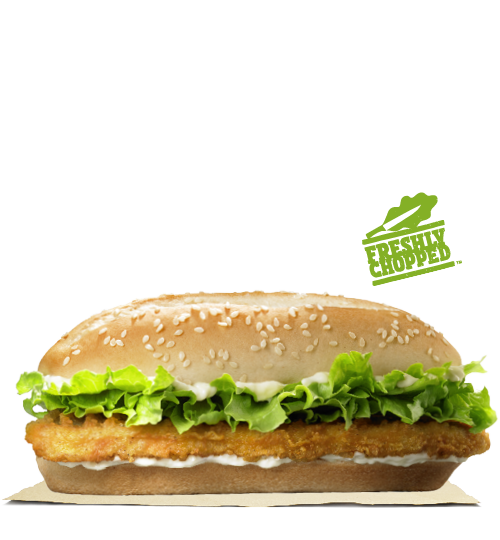 Our new Chicken burger is a mighty tasty chicken patty on a toasted sesame bun, topped with fresh lettuce and creamy mayonnaise, and it's only €1.85! 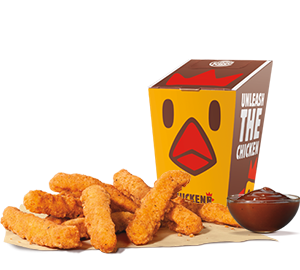 Made with premium white meat chicken, our Chicken Fries are coated in a light crispy breading seasoned with savoury spices and herbs. 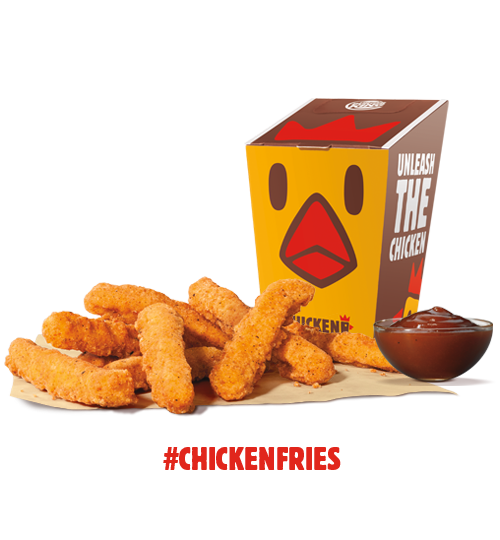 Chicken Fries are shaped like fries and are perfect to dip in any of our delicious dipping sauces.